Japanese automaker Nissan Motor Co., Ltd. has entered into a definitive agreement with Envision Group (Envision), a sustainable energy operator, for the sale of Nissan’s electric battery operations and production facilities to Envision. Envision has committed to complete the proposed acquisition of Nissan subsidiary Automotive Energy Supply Corporation (AESC) and battery manufacturing operations in Smyrna, Tenn., U.S.A. owned by Nissan North America Inc. (NNA), and in Sunderland, England, owned by Nissan Motor Manufacturing (UK) Ltd. (NMUK). “We are pleased to have secured a definitive agreement with Envision, a leading global company in the field of sustainable energy. The transaction will enable Nissan to concentrate on developing and producing market-leading electric vehicles – in line with the goals set in our midterm plan Nissan M.O.V.E. to 2022. 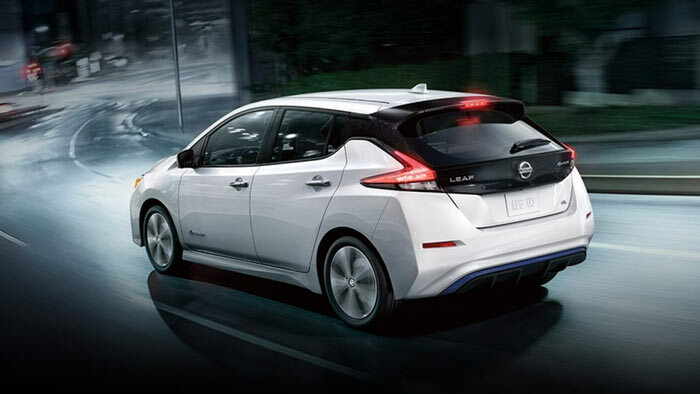 We are confident that Envision will be a strong, long-term owner of the new company and that it will further grow as a battery company with increased competitiveness,” said Yasuhiro Yamauchi, Nissan’s Chief Competitive Officer. “We are excited to announce the acquisition of Nissan’s battery business, a leading producer of advanced, safe and reliable lithium-ion batteries. Together with the battery business management team and its highly skilled workforce, this partnership will see Envision expand both organizations’ footprints into the intelligent energy ecosystem to create new innovative solutions for the IoT value chain. With this strategic acquisition and collaboration, we aim to expand our activities via investment into the new company to realize the value of IoT technology for smart transportation, V2G, and smart city solutions,” said Lei Zhang, founder and CEO of Envision. Nissan will implement the transaction by first taking full control of AESC – founded in 2007 to develop advanced lithium-ion batteries – by acquiring the combined 49% minority holding held by NEC Corporation and its wholly-owned electrode development and production subsidiary, NEC Energy Devices, Ltd (NECED). NEC has approved the sale of AESC shares to Nissan and the sale of NECED shares to Envision. Tags: Automotive Energy Supply Corporation,battery business,electric battery,Envision Group,Nissan Motor Co.